There are many coaches and counsellors but I have found Trudy a person that is head and shoulders above the rest! She has an amazing insight and offers a perfect balance of listening to the client, assessing the situation and then building up a plan that is practical and produces results. I have met other people who also rate her very highly. I would certainly recommend Trudy Arthurs and her professional expertise. Having known Trudy for almost eight years I have no hesitation in recommending her personally. She is focussed, motivated and driven, a clear communicator and grasps corporate, social and personal issues with ease. She has a calming influence, yet exudes enthusiasm and a can-do attitude that is totally addictive and motivating. Trudy is a highly professional, creative and trustworthy coach with a unique ability to help you think outside the box. In doing so Trudy is able to pin point attitudes, skills and behaviours either within your professional or personal life which can be improved upon and maximised in order to benefit your work and allow you to make best use of precious office and/or personal time. Trudy is a truly dedicated coach professional. She commits 100% and brings such an authentic and uplifting energy to her work. Trudy is an expert in her field, she has the ability to bring so much to the surface that you did not realise was inside. She guides you to dream big and achieve those dreams, with simplicity. She has a very clever questioning technique with a warm personality that is infectious. 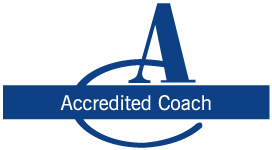 Trudy is deeply committed to delivering high quality coaching with her clients. She takes her own professional development seriously and is willing to put time and effort into maintaining her very high professional standards. I am very confident about recommending Trudy as a coach. Trudy is very committed to the development of people and enabling them to make a difference in their business balanced with a healthy regard for the whole person. She has the ability to build strong relationships with individuals and with teams which is evident in her work. Her desire to do well is reflected in her desire for her clients to do even better. Private Sector / Hospitality and Healthcare Range of leadership and management programmes with directors, senior and middle managers, over three business units. Security Services Personal leadership programme for seven men and women at middle management level. Working Areas: Promotion and enhanced career development. Government Services Leadership and management development for middle managers in transition to senior level, involving group and individual work. Working Areas: Enhanced career development, promotion, presentation skills, self management under stress. Government Services Delivery of basic and advanced coaching skills programmes to various groups of health care practitioners. Working Areas: Training of coaching skills to be used within organisation, enhanced client relation and team relationships. Charity Sector Team and strategy development and performance coaching. Working Areas: Enhanced team relationships and operation. Engineering Individual communication skills development programme with mid-level male manager. Working Areas: Enhancement of communication skills, development of confident relationships-building and leadership skills, transition to senior management – promoted six months after our work. [John Arthurs] Personal coaching for five individual senior managers around new job descriptions with cross-cultural challenges. Also training programme in supervision for senior field technicians. Enhanced learning demonstrated in all cases.